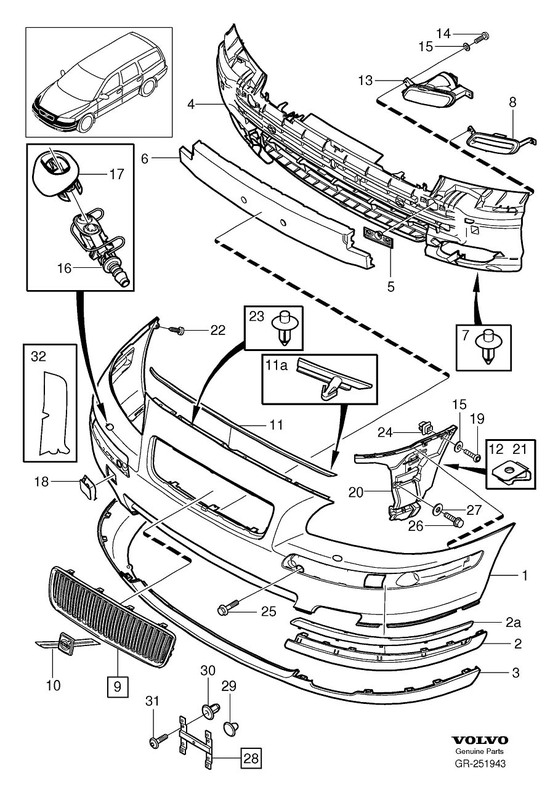 Looking to replace the front bumper moulding and chrome strip on a 2007 V70 2.5T. See attached image. Does anyone know the part #s? Is the moulding color coded? I'm pretty sure originals are/were sold with only primer applied and had to be painted. Less stuff to keep in store plus less chance of colour not matching the car that has been out and about.